North South Foundation Scholarship is meant for economically backward students in India who have obtained merit-based admission to professional courses like Engineering, Medicine, Agriculture, Nursing, Polytechnic etc. in Government or Govt-aided colleges or under Govt. quota seats in private colleges. North South Foundation Scholarship is an annual award and not a one-time payment. North South Foundation: North South Foundation (NSF) is a volunteer-driven non-profit organization established in 1989. North South Foundation has distributed more than 12,000 scholarships to students. NSF provides scholarships to undergraduate students entering into engineering, medicine or 3-year polytechnic (diploma in engineering) based on merit and financial need. In 2013-14 NSF distributed 1190 fresh scholarships and renewed 1349 scholarships. The annual family income is less than Rs. 90,000. The student should not be availing any other scholarship. North South Foundation Scholarship amounts range from Rs. 10,000 to Rs.25,000 per student year. NSF Application form can only be filled online by the candidates. The candidates must read the guidelines for the application very carefully before filling the Online Application Form. Registration: The candidates need to register themselves by adding the basic information such as name, email id and Password. The candidate must also enter their additional information such as annual Income of the family, course applying for, total percentage obtained in the entrance exam and click on save and continue to proceed. Photos: The candidates need to update their photo as well as their family photograph. Declaration: In this part, the candidates need to declare and tick the checkbox that they have submitted all the correct form of documents. 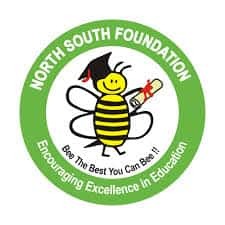 The candidates who are benefitted with the scholarship last year and are still eligible can apply for renewal of the North South Foundation Scholarship. Such candidates have to take a bonafide certificate from his/her college, marks memo, of the previous year/semesters, conduct certificate and fees paid receipt for the current year and forward it along with hard copy of renewal application form. The candidates must fill the application form carefully because the incomplete form or any mistake in the application form will be liable to be rejected. All the above documents must be enclosed and submitted to the individual and respective chapters that are given below. No participation fees is charged. The academic record is seen as the criteria for selection of the candidate. Apart from reviewing academic records and income statements, NSF will also review the special circumstances under which the student is submitting his / her application. Once shortlisted the students along with their parents will be called for the final interview. Students coming from Government schools and colleges. Fresh students going to Government colleges. Students getting the top rank in the first attempt. Students not getting other scholarships.